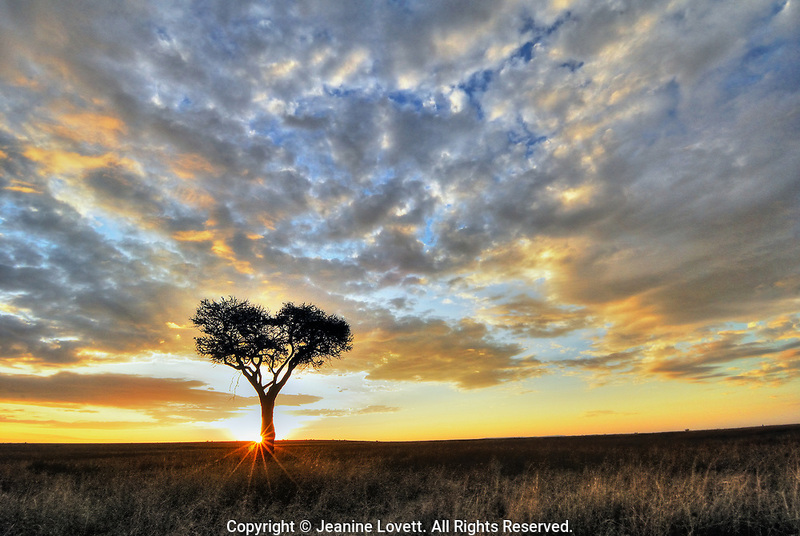 The sun comes up over the savannah creating a star burst. Found a nice tree for sunrise, looked around for lions before getting out of the truck. Took this from a tripod standing on the ground.